Human memory is unreliable. This can present a major problem in personal injury cases, as witnesses may have difficulty remembering events that occurred months–often years–before the trial. And while having a faulty memory is not a crime, when parties to litigation suddenly “remember” something that contradicts their earlier statements, there are certain rules that need to be followed to ensure the integrity of the judicial process. This recently came up in a medical malpractice lawsuit here in Knoxville. The Tennessee Court of Appeals ordered a retrial in the case because the defendant–a hospital–failed to disclose new testimony from its nurses, which contradicted earlier testimony they had given during pretrial depositions. Although the trial judge rejected the plaintiff’s request for a mistrial after this information came to light, the appeals court said that was an error warranting reversal of the jury’s verdict in favor of the defendant. The underlying case involves the tragic birth of a child with cerebral palsy and related developmental defects. The plaintiff’s mother gave birth to the child at the defendant’s hospital. She alleged that nurses administered Ampicillin during the delivery. While this is standard protocol, the mother here said she “experienced an unforeseen allergic reaction” to the drug, which in turn led to the plaintiff’s birth injuries. At trial, the plaintiff’s attorney called one of the nurses who treated the mother to the witness stand. During direct examination, the nurse indicated she “recalled” some of the events in question differently than she had previously stated during her deposition. A second nurse also offered testimony that diverged from her deposition statements. In this case, the nurses changed their testimony after being shown photographs of the plaintiff’s mother by the defendant’s attorney. In other words, the defendant knew the nurses would contradict their deposition testimony on the stand and never disclosed that fact to the plaintiff’s attorney. 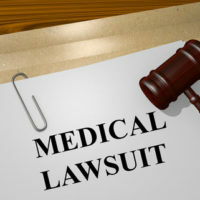 The defendant argued that since “the nurses employed by the Hospital were not parties to this suit,” their testimony was not subject to the disclosure rule. The Court of Appeals called that argument “disingenuous.” After all, the hospital “was sued due to the alleged actions or inactions of its employee nurses.” The hospital argued it only needed to disclose changes in testimony involving its “corporate representatives.” But the Court of Appeals said that was absurd: its liability is tied to the conduct of its nurses, not its corporate representatives, who generally have no direct role in medical care. Hospitals and other corporate defendants will look to exploit any loophole–real or imagined–to try and escape liability from a personal injury claim. This is why you need to have experienced Tennessee medical malpractice attorney on your side. Contact the offices of Fox & Farley, Attorneys at Law, in Knoxville or Clinton to speak with someone right away.